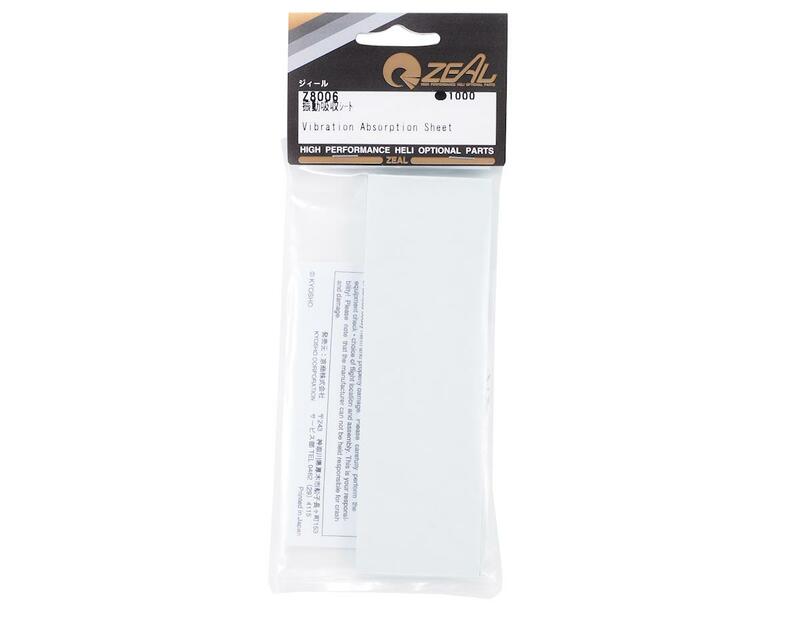 This is one sheet of Kyosho Zeal vibration absorbing gyro and receiver mounting gel. This stuff is amazing for mounting gyros and receivers in Nitro helicopters where maximum vibration absorption is needed, combined with maximum mounting security. This stuff sticks like crazy! This is the weirdest and coolest mounting tape I have ever seen. When you cut it, it is still sticky where you cut it, so if you cut a cube out of it, you will have a cube that is sticky on all 6 sides. It's not very easy to cut but I got it right the first time and it's not hard to get the shape you want the first time. I haven't tested it's vibration absorption yet, but I've seen other people rave about it online. Stuff works great. Amazing job at holding the esc secured. But definitely not for mylaps of on/off switches. It's not intended for those small items. This Kyosho Zeal tape is a great product for it's purpose. It is somewhat tricky to cut if you want it looking perfect, use sharp scissor and be patient. Adhesion is very good. I didn't have any problems mounting three types of flybarless units (BeastX AR7210BX, KDS) decided not to use it on Spartan Vortex as Spartan recommended only their mount pads. 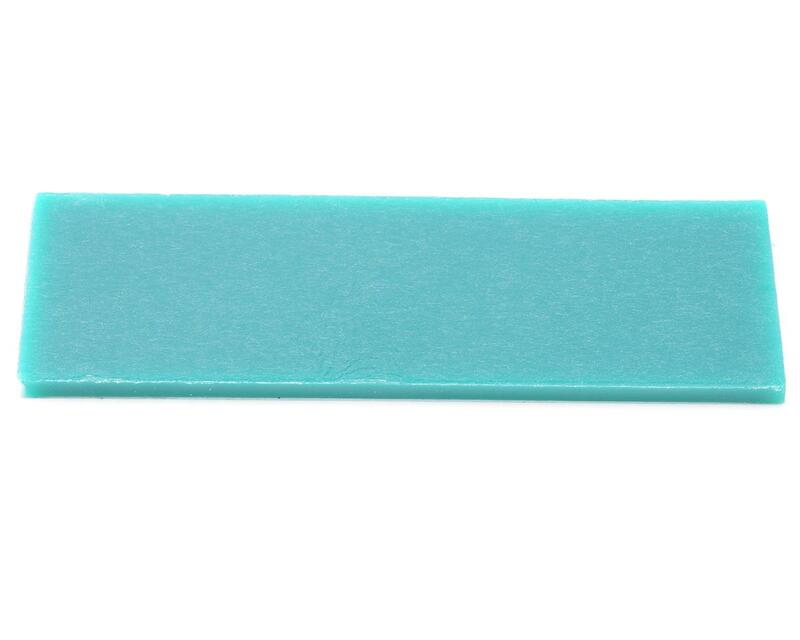 My only concern for my installations using Zeal tape is the thickness of the tape, at ~5.5mm thick, it becomes a bit wobbly with the FBL units. Although I did not experience any adverse affects due to its thickness. I also don't fly hard 3D. Overall, I decided to go with thinner mounting tapes, 3mm or less. I agreed review from Kelly Reed. I bought this because other review was good but not good as the protek. I clean the surface with acetone but still not stick as like protek double tape. Works awesome, sticks really good. Will keep your ESC from shutting down on hard hits. Best of all, you can remove it, wash it with soap or simple green...let it dry and its sticky as new again and again. Perfect for ESC and Rx. Don't waste your money on this its only good if you using a half the sheet or the hole sheet for big items, anything smaller for example a mylaps or esc power button, forget it, does not stick at all. I wasted 15$ on this at my local hobby shop. walmart and kmart has a roll of $6.00 red 3m double sided tape come in grey or black material l that sticks forever on wood, metal, plastic, double or triple it up for anti vibration if need be.